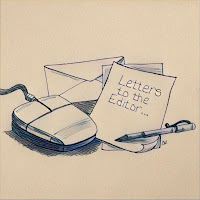 Shoreline Area News: Letter to the Editor: Where will people shop in North City? Letter to the Editor: Where will people shop in North City? In reply to Ray Branham's article regarding concerns about Shoreline's priorities, I would like to add that poor North City has met its demise. Now that Walgreen's is gone, what we have left are pot shops, a mediocre grocery store, and soon two animal hospitals within a 20 block area. With all the mega apartment building and townhouses going up, where will all these people shop? I guess now people will drive through North City to get to Lake Forest Park Towne Center or to downtown Edmonds where there are many shops and restaurants. Come on, City of Shoreline. Make North City a pedestrian friendly, shopping friendly neighborhood. I wouldn't be surprised if that Safeway is the next to go. It's the worst grocery store I've ever had to shop at, poor selection and slow lines. Don't be so gloomy. At least you have the only brewery in Shoreline! Keep North City gritty! We in North City have lost the post office and our drug store. I'm glad we still have the North City Bistro, Leena's, and our "medocre grocery store" among others. It would be wonderful to promote a pedestrian friendly, shopper friendly neighborhood for all of the new and old residents. all of these new residents with nowhere to fill their needs locally is going to be terrible for traffic and will make the area way less desirable. that lack of access to services and hence less desirability can also affect property values. i know a lot of these decisions get driven by requirements to receive funding, but there has to be a way to accommodate the residents in the neighborhood and improve our quality of life as opposed to degrading it. Shoreline really needs to examine why Edmonds is so much more successful at attracting quality businesses. Perhaps if the North City Safeway is deemed mediocre, one should take the issue up with Safeway. Not really sure why this is a City of Shoreline problem.